"...This book is an attempt to make a contribution to a theology of human moral progress within the Islamic tradition and in doing so I hope to re-assert the power of the Islamic message. 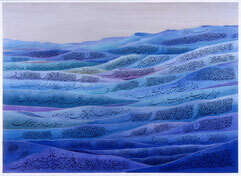 It is an effort to reclaim the core of Islam, the Shari‘ah (the path to goodness and ethics), which in Islam is the living fountain and source of all goodness...I argue that it is imperative for those who understand Islam to be a message geared towards the discovery of goodness and beauty to re-orient the trajectory of Shari‘ah in the modern age. "...Although this book deals with the theology of moral progress in Islam, this issue is of central importance to non-Muslims as well. Moral progress is untenable unless accomplished in the context of a dynamic interaction with those who are not Muslim. Other than being observers, it follows that non-Muslims are involved in this process in at least two ways. First, non-Muslims simply by affirming or supporting particular moral values and not others, engage Muslims in a creative negotiative dynamic that in many indirect, and at times, direct ways help shape the moral values of humanity including those of Muslims. Second, obviously, we live in a world where it is impossible to avoid interacting, not only with the “other”, but with every kind of other. Non-Muslims are directly influenced by Muslim life whether this life takes place in countries that are predominately non-Muslim or otherwise. But beyond this, I argue that the moral objective of Godliness, as opposed to godlessness, is impossible to achieve on this earth without a partnership of equals working towards a collective enterprise of goodness among all communities of faith—Muslim and non-Muslim..."
“The Shari'ah.” In The Oxford University Handbook of Islam and Politics, part of the Oxford University Press Handbook series (Oxford: Oxford University Press, November 2013). 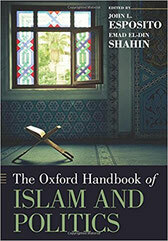 EXCERPT: "Part of the unavoidable challenge of providing an adequate account of the Islamic legal tradition is not just its sheer magnitude and expanse, but that the Islamic legal system continues to be the subject of profound political upheavals in the contemporary age and its legacy is highly contested and grossly understudied at the same time. The Islamic legal system consists of legal institutions, determinations, and practices that span a period of over fourteen hundred years arising from a wide variety of cultural and geographic contexts that are as diverse as Arabia, Egypt, Persia, Bukhara, Turkey, Nigeria, Mauritania, Mali, Indonesia, or India. Despite the contextual and historical contingencies that constitute the complex reality of Islamic law, rather paradoxically, the Islamic legal legacy has been the subject of widespread and stubbornly persistent stereotypes and oversimplifications. Whether espoused by Muslim or non-Muslim scholars, highly simplified assumptions about Islamic law, such as the belief that Islamic legal doctrine stopped developing in the 4th/10th century, the presumed sacredness and immutability of the legal system, or the phenomenon of so-called Qadi justice, are, to a large extent, products of turbulent political histories that contested and transformed Islamic law (or what is commonly referred to as Shari'ah) into a cultural and ideological symbol..."
Article: “Conceptualizing Shari‘a in the Modern State,” 56 Villanova Law Review 4 (2012). This Article addresses the animated and evolving role that Shari‘a, i.e., the system of Islamic jurisprudence collectively or generally, and Shari‘a conceptions play in the contemporary world. There are various manifestations of this evolving role in the often dynamic, subtle, highly negotiated, and far from formalistic ways that Shari‘a is animated in today’s world. There are three main points that I will address in this Article. First is to provide some insight into the various ways that Shari‘a has been manifesting in the recent revolutions sweeping through the Arabic-speaking world, while at the same time contrasting the rather curious case of the various anti-Shari‘a legislations proposed in parts of the United States, as well as some of the anti-Shari‘a European discourses taking place. Second, I will address two basic conceptualizations of Shari‘a that we find historically not just persistent, but historically competing and often wrestling for space. Although these conceptualizations have clear points of demarcation and delineation, they are quite broad and disagree in some fundamental and basic assumptions, particularly in epistemological, as well as ontological and deontological, assumptions. Finally, I will address the way that the assumptions of each of these conceptualized perspectives or schools of thought in Shari‘a have expressed themselves in various ages and historical contexts. Indeed, we find that there are very particular attributes or particular characteristics to the way that each conceptualized view of Shari‘a expresses itself in various historical contexts. “The Place of Ethical Obligations in Islamic Law”, UCLA Journal of Islamic and Near Eastern Law, no. 4 (2005): pp.1-40. 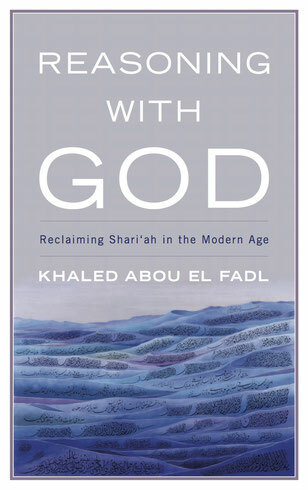 EXCERPT: "...There is yet another aspect to understanding shari'a and its role that underscores the necessity of the advocated paradigm shift. Beyond ethical and moral principles and the specific set of laws that inherently embody an ethical or moral principle, there is another archetypal sense to shari'a law. Shari'a is the Divine law as it exists in God's Mind, known with thoroughness and perfection only to God. The shari'a is Divine because it emanates from God and it exists only through God. Any human legal system sets in motion certain potentialities--a potential, for instance, for achieving justice, equity, fairness, security, safety, and stability--but the ability of a legal system to pursue, leave alone achieve, any of these potentials is highly contingent; the pursuits of a legal system are dependent on a set of complex socio-political and economic conditions as well as the sincerity, knowledge, intelligence, and diligence of the typically large number of human beings who grease and turn the wheels of a legal system. The shari'a, however, is not only a possibility or potential; it is the fully realized and fulfilled just order possible only from and through God. The shari'a is Divine only because it is not contingent on the human element, but it is a utopian reality existing only in the realm of the Divine. But, most importantly, the vast majority of Muslim jurists considered the shari'a--in its true sense, as the Divine verity, a utopian inspiration, the perfected ideal, and as the achievement of immaculate justice and consummate moral existence--to be unattainable and unachievable by human beings. "As God's viceroys (khulafa' fi al-ard) entrusted with the preservation and caretaking of God's earth, human beings have been commanded not to corrupt the earth, to strive to follow the Divine path, and to act as witnesses on God's behalf by calling for what is moral and good, and resisting what is immoral and depraved (al-amr bi'l ma'ruf wa al-nahy 'ann al-munkar). The obligation to command the good and forbid the evil is fundamental to honoring God's trust and covenant with human beings as His viceroys and agents on the earth. The elements of the Divine covenant or trust also identify the nature of the obligation owed by Muslims towards the shari'a. In order to discharge God's covenant or trust, human beings are commanded to engage in a process--the process mandates that there be a conscientious and diligent search or investigation for what is good and what is bad, and then engaging in the process of teaching, counseling, and enforcing. If Muslims had unobstructed and total access to God and God's knowledge, there would be no need to engage in the process of searching because the good and evil would become fully transparent. Although God is the perfect embodiment of goodness, and the exact antithesis of all that is evil, human beings do not have access to God's knowledge--the most that human beings can claim on any specific problem, after a conscientious and diligent search, is a probability of belief that they have succeeded in finding the truth. Hence, human knowledge cannot be equated with the truth of Divinity, but the very process of searching is morally praiseworthy even if human beings are capable only of approximating and coming close to the truth. Moreover, human beings may attain parts of the truth, but they can never embody the whole truth, and in my view, if a government, group, or people arrogantly claim that they are capable of representing the Divine truth or Will, then they have committed a grievous moral offense by associating partners with God..."